Last season, we saw a brief break from glitter, instead preferring pigmented foil finishes on lips and eyes. But if Rodarte’s Autumn Winter '19 fashion show is anything to go by (which, it always is), glitter is back - in a big way. 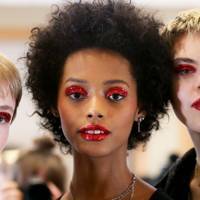 Kicking off the new season shows in LA last night, Rodarte opened the runway to models wearing eyelids and lips packed full of spotlight-stealing, ruby red glitter particles. 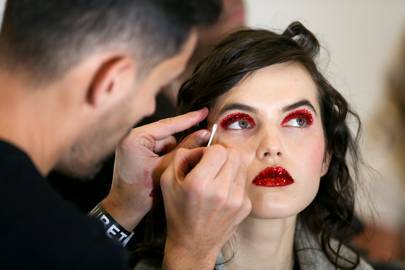 Makeup artist, , took inspiration from old school Hollywood musicals, harnessing the glitz and glamour of the magical era. 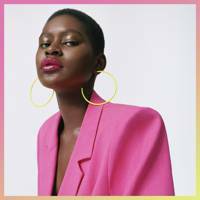 Using a combination of powerful pigments, vibrant lipsticks and multi-coloured glitter, James create five different looks on models, each as mesmerising as the last and each playing on slightly different hues, including rust, ruby and pink. 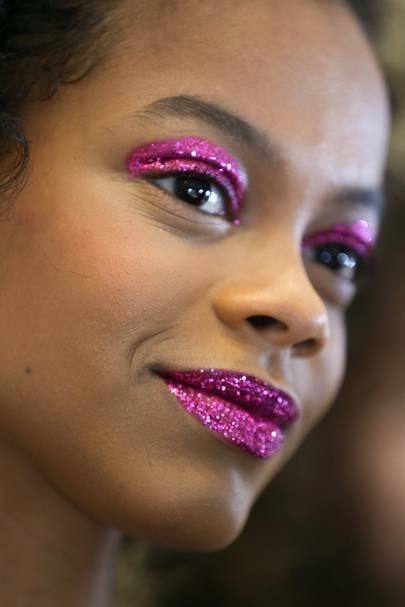 For a punchy finish, glitter was pressed into lids and lips using eyeshadow brushes, rather than using a sweeping motion, which would have created a wash of glitter. Skin, on the other hand, was kept radiant but totally flawless using a combination of , and loose powder to create a velvety finish, helping to make the lips and lids pop even more. 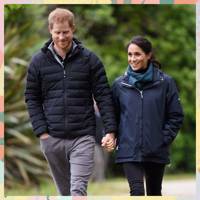 For those of us who can’t wait to recreate the look at home, you’ll need a few key tricks we picked up from backstage. First, sticky tape is your new best friend. When packing on glitter, it's almost inevitable that the particles will fall down onto cheeks, so use a few strips of sticky tape under eyes to safeguard against fall out. Even one particle in the wrong place will catch the light and distract from the focal points, so precision is key with this look. Also, you'll need to apply a vibrant lipstick and eyeshadow before applying the glitter, so that there are no gaps in the colour. James used a combination of (for the Berry look, he used the shade Janet, and for the pink look, the shade Claudia) and (for the red look, he used the shade Don't Stop, and for the rust look, he used the shade Red Square), both of which provide ultra-saturated colour in a single sweep.